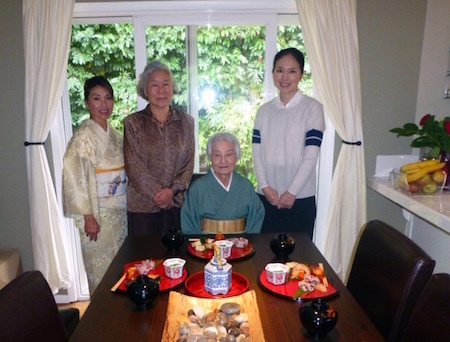 On December 11, 2014, at my teahouse, Tokufuan, I held a tea gathering (Chakai) to celebrate our teacher, Madam Sokyo Arai’s 85th birthday. 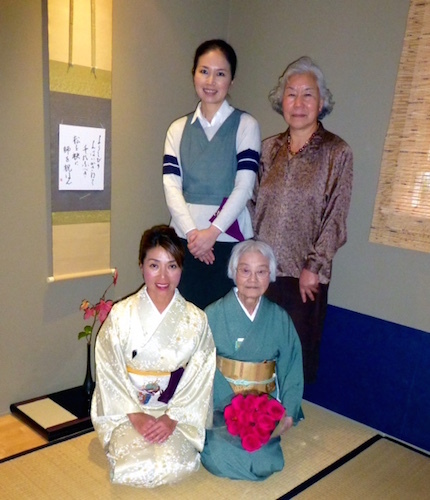 I was very honored to celebrate this happy event with tea peers at my tea house. 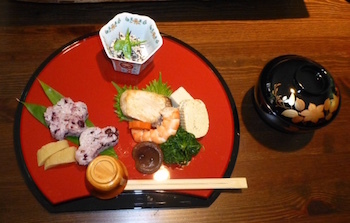 It is a joy of to celebrate Chakai, but the joy starts in the planning and preparations. 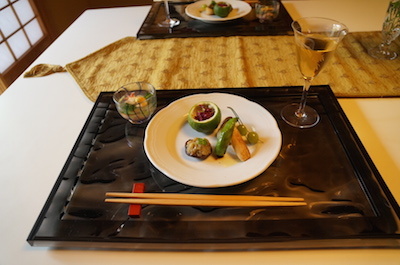 Even when I was thinking about the menu of Tenshin (short version of kaiseki meal), I was having so much fun that a smile was on my face. I thought this could be called a prelude to Chakai. 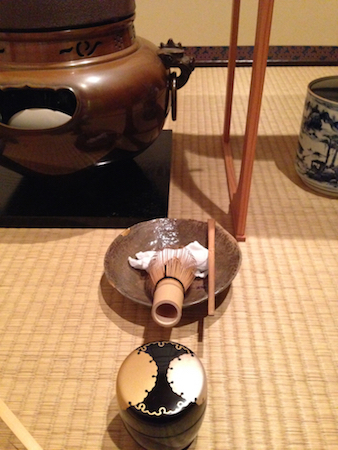 Among the utensils for this event, I wanted to use a specific Chaire (tea container for thick tea). 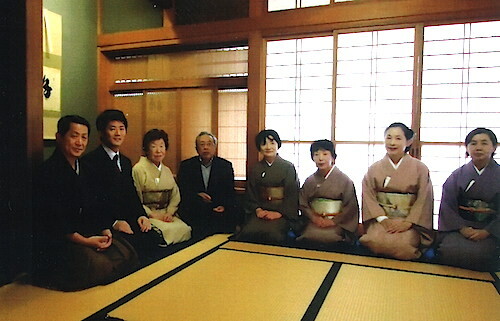 The Chaire brings to my mind the memorable times with Madam Arai. 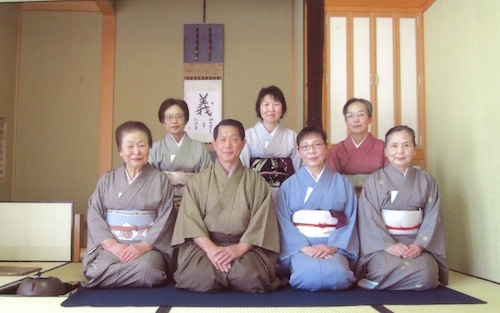 About 13 years ago, Madam Arai and I took a nice walk at Ikenohata after the lesson at Oiemoto. We discovered an antique store, and I found this Chaire. 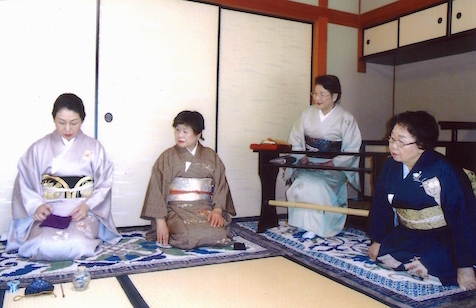 Not only did I acquire the Chaire in her presence, but I fondly remember the time I spent with Madam Arai as being so peaceful and precious. This memory will always remain so vividly in my heart. The Chakai started with Tenshin. 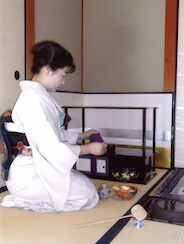 Afterwards, Teishu (host) made Koicha and Ms. Sakakibara as Hanto made Usucha. 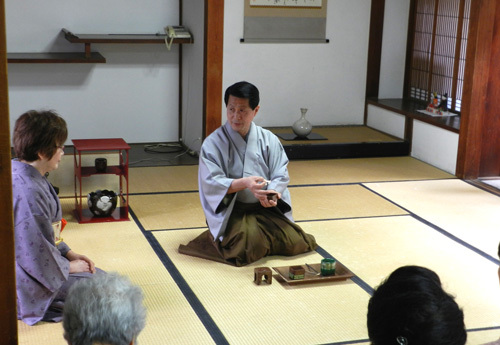 Previously, when Oiemoto visited my tea house, he taught me to change the lighting between Koicha and Usucha. At this Chakai, I performed what I learned from him. 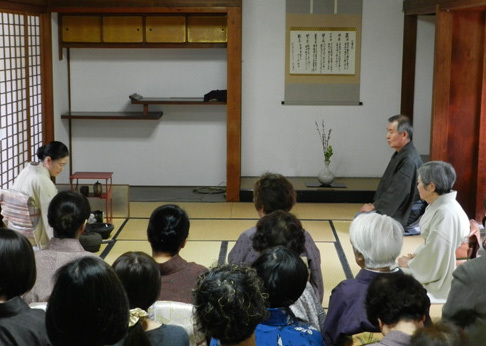 The Koicha took place in dark lighting with solemnity and silence. For the transition to Usucha, the lighting became much brighter. 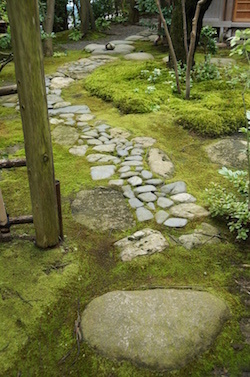 In this changed environment, the conversations blooms and lift guests’ spirit much lighter. 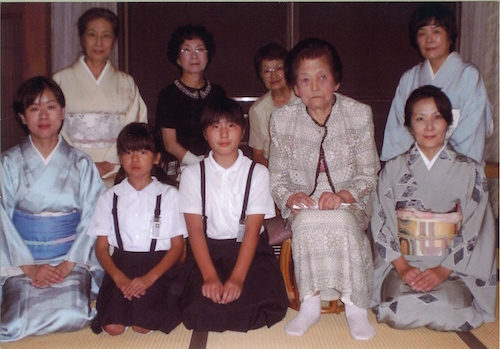 This significant change makes Koicha’s quietness and dignity which lingers in your mind more. I learned through this experience that the change of lighting is also an important hospitality. 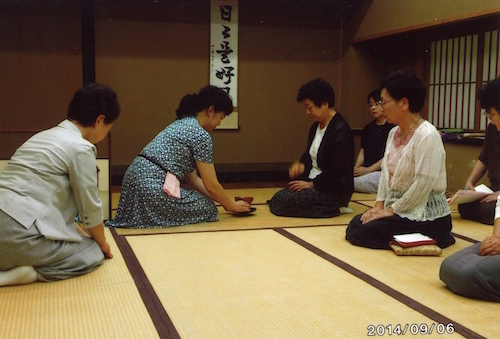 I am so glad that I was able to hold the Chakai to celebrate Madam Arai’s birthday. 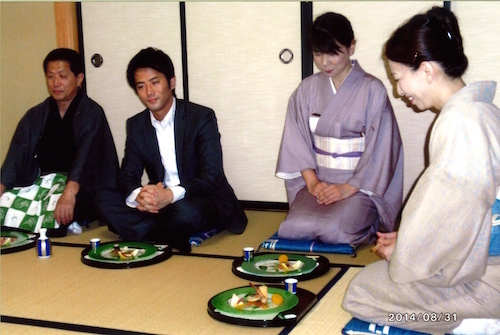 I strongly wish that there will be many more years to hold this celebration tea gathering for Madam Arai. 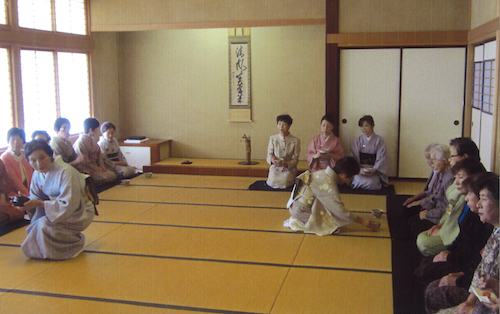 This past September, I had a lesson in Hirajawan (with a twisted tea cloth) from Madam Arai at her tea house, Kakurinan. 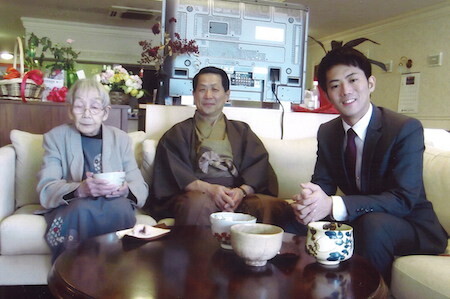 Madam Arai said “Let’s study with Koho Fuhaku’s Hirajawan.” I was graciously granted this special opportunity to make a cup of tea with the Grand Master’s handmade tea bowl. 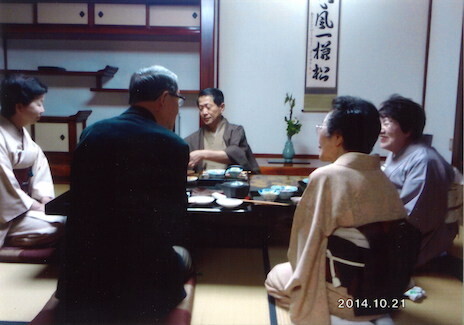 This tea bowl was made by Fuhaku when he celebrated his 77th birthday. I’ve heard that he made it to give to his special friend. 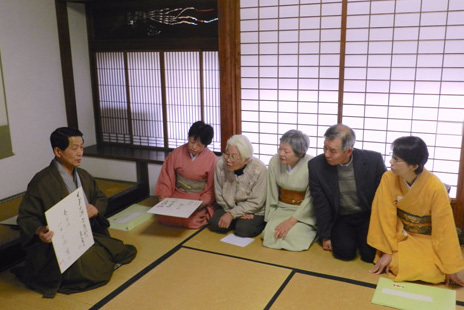 If you calculate the year from when he was 77 years old, it would be 218 years ago, in the year 8 of Kansei, in the late Edo era. When you carefully lift the bowl, there is no heavy weight sensation, but there is a feeling of dignified elegance. The color is a reddish brown, which expresses a sense of calmness and a profoundly distinct and special style. My imagination creates a vision of looking into an abyss of a great and deep valley. The measurement of the bowl is 4.7cm high and 15.4cm in diameter. As you can imagine from these numbers, this bowl is very flat and wide, almost like a deep dish. 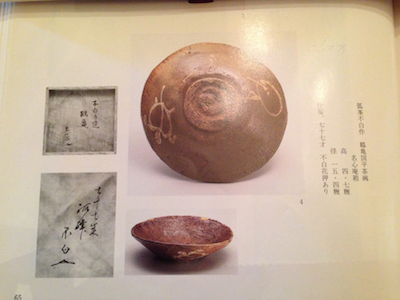 The crane and the turtle design on the outside of the bowl are one stroke drawings. It is as simple as possible; however, you can almost see the movement of the turtle that is swimming around the bowl. The crane is standing so tranquilly and peacefully. 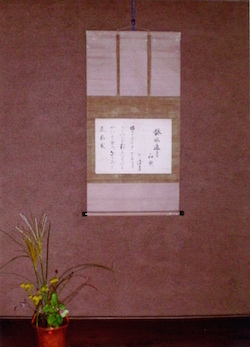 Kohdai (a bottom sitting part of bowl) is flat and powerful with an uneven design that makes the bowl not sit parallel with the tatami. This unevenness looks very natural in its design. I wonder if the Grand Master made it this way intentionally, or did it just happen during the course of its creation? The characteristics of the bowl seem to paint a picture of his personality and soul. I was nervous about handling a bowl with such great history, and also worried about how I could make tea in this super flat bowl. However, I realized it was not that difficult as I imagined, rather it was the perfect bowl to easily make a cup of tea. I was very impressed and surprised by how it was made. The bowl looked like it came to life again with the tea in it. 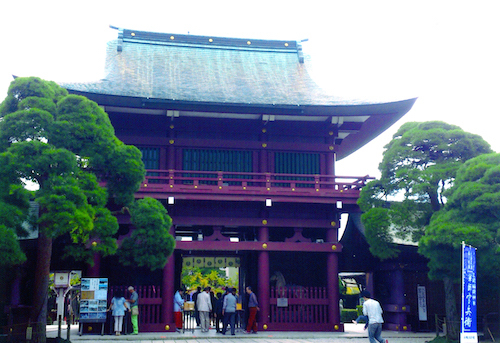 The contrast of the color of green and reddish brown is absolutely exquisite. What I saw as an abyss now turned into a vast beautiful ocean. I made a cup of tea for myself with the bowl. 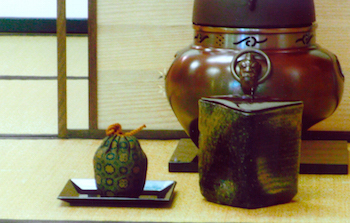 When I lifted the warm bowl, I felt like I touched the profound and bold spirit of the bowl. 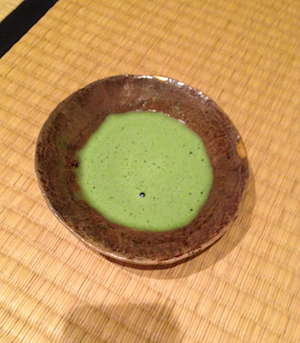 The moment my lips touched the bowl, I traveled back in time to the year 8 of Kansei. 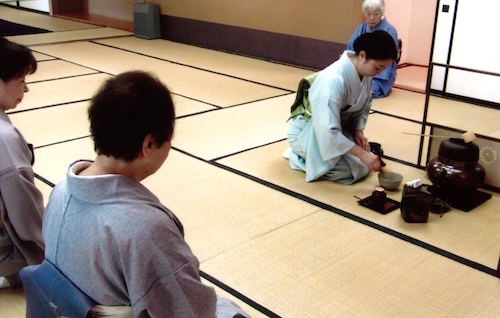 I was so touched with the fact that I had tea from the Grand Master’s handmade cup. I was speechless. 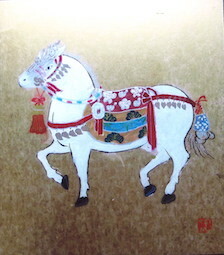 What is great about art of tea is that you can actually handle noble and sublime art pieces. I thought of all of the art pieces of tea utensils that are behind glass cases in museums and how they bring back their own lives once they are used. 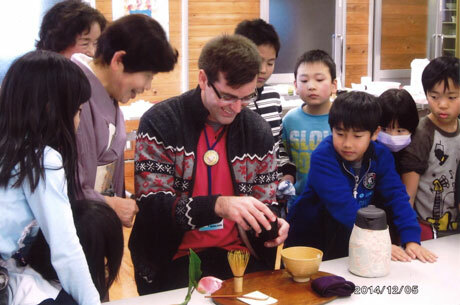 I am very grateful to have experienced this precious opportunity through my lesson. 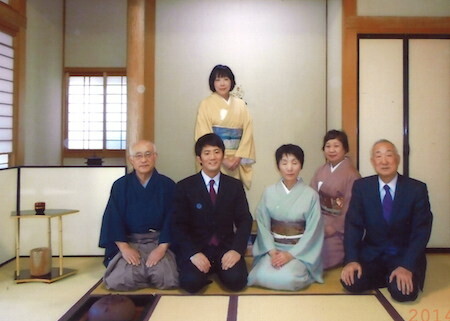 I truly appreciate Madam Arai, who gave me this rare and invaluable opportunity.